Fear made David pray like this, for something whispered, "Perhaps, after all, you may be swept away with sinners." That fear springs mainly from holy anxiety, arising from the recollection of past sin. Even the pardoned man will inquire, "What if at the end my sins should be remembered, and I should be left out of the company of the saved?" He thinks about his present condition—so little grace, so little love, so little holiness; and looking forward to the future, he considers his weakness and the many temptations that surround him, and he fears that he may fall and become a prey to the enemy. A sense of sin and present evil and his prevailing corruptions compel him to pray, in fear and trembling, "Do not sweep my soul away with sinners." If, then, you are like God's people, you will be with God's people. You cannot be swept away with sinners, for you have been purchased at too high a price. Redeemed by the blood of Christ, you are His forever, and where He is, there His people must be. You are loved too much to be swept away with reprobates. Will one who is dear to Christ perish? Impossible! Hell cannot hold you! Heaven claims you! Trust in Christ, and do not fear! 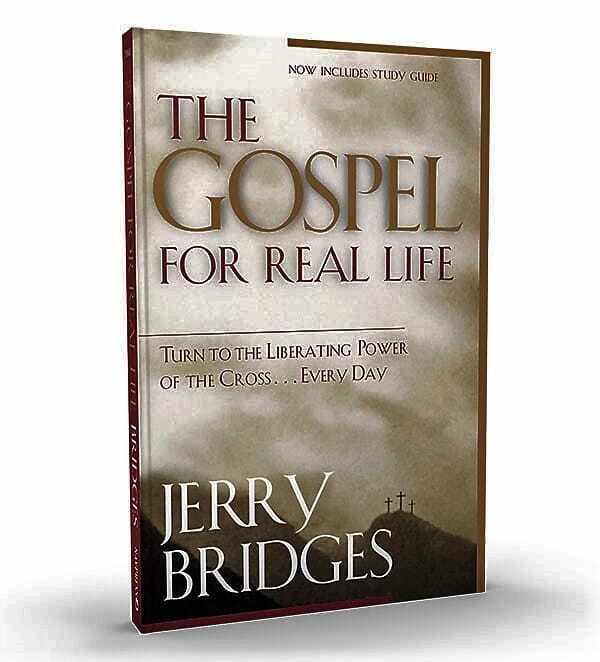 Author Jerry Bridges unwraps the Gospel of Jesus Christ with compelling clarity. Helping readers grasp the magnitude of God’s great gift to humanity, The Gospel For Real Life directs us to the Cross and encourages us to form an intimate relationship with Christ in a way that transforms our day-to-day life. Originally published September 21, 2016.